Penn's Pad & Pencil Satchel is as comfortable to wear on the open streets of New York City as it is in a small room in Cuzco. The modern reporter's satchel has room for one camera body and up to three lenses or two lenses and a small accessory. The zippered front pouch also provides a perfect place for a pad, writing instruments and plane tickets or a map. 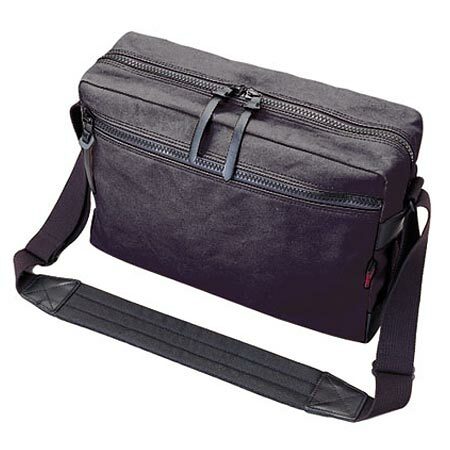 The camera compartment features removable and repositionable dividers to tailor the bag to your needs. The slender width of this bag means it won't slow you down when you are running to cover that once-in-a-lifetime story. The heavyweight canvas strap is practically overkill for this small, lightweight bag and ensures that no matter the conditions, your gear will travel securely. The bag is slender enough (and the strap is long enough) to wear this bag "sling-style!"